For six months of this year, from June to November, we Jews will be caught in a symbolically fraught interlude in our history. We are officially betwixt the 50th anniversary of the Six-Day War of June 5, 1967, and the 100th anniversary of the Balfour Declaration of November 2, 1917. They are two events that define the historical arc of a critical century of modern Jewish life, especially in their opposition to one another. For if the Balfour Declaration represents the moment the goal of Jewish statehood first gained formal international recognition and legitimacy, 1967 was the moment when the recognition and legitimacy started to ebb, gradually giving way to 50 years of growing unease. Put differently, the Balfour Declaration launched a diplomatic process that led to an international embrace of what had been up to then a crazy dream of Jewish national rebirth. The Six-Day War touched off a series of events that may yet end in the dream’s demise. There’s an irony to this story that makes this interval all the more salient. And it stems from the fact that as Jewish American fortunes have risen, our sense of wellbeing in the world has fallen — in no small part due to the fallout of the Six-Day War. Here’s the paradox: Even as Jewish fortunes were experiencing an astonishing reversal from powerlessness and suffering to almost unimaginable success, the inner life of Jews was changing in the opposite direction. For a half-century after 1917, the dominant mood among Jews in America and Israel alike was one of optimism. If the present was grim, the future could only be better. In the half-century since 1967, the mood has been increasingly gloomy and cynical. American Jewry in the 1920s, post-Balfour Declaration, was putting down roots. Children of the mass Eastern European immigration, American-born and English-speaking, were finding economic security and leaving immigrant ghettos for more spacious surroundings in places like the Bronx and West Rogers Park in Chicago. The next generation would move to the suburbs and become fully at home. Even when World War II came, the mood among American Jews was one of determination, not despair. Though it’s largely forgotten now, there were mass rallies in support of Europe’s Jews, rallies that filled stadiums across the country. There were protest marches against Hitler, even undercover campaigns against homegrown Nazis. Most telling, Jews enlisted in the military and gave their lives in greater proportions than the population at large. After the war, Jewish pressure on the street and inside the White House was decisive in creating the Nazi war-crimes trials and establishing the notion of accountability for crimes against humanity. Jewish activists led the struggle for a Universal Declaration of Human Rights and a United Nations convention on genocide. The very word “genocide” was coined by a Jewish immigrant, Polish-born legal scholar Raphael Lemkin. Most striking of all, though, was the aftermath of the war. American Jews and the major Jewish organizations soon began mobilizing, in a formal partnership with the organized black community, to combat the rampant discrimination that both minorities faced across the country. The American Jewish Congress (AJC) initiated legal and legislative battles to outlaw discrimination. The Anti-Defamation League conducted mass public education campaigns. The American Jewish Committee provided much of the research and funding for the legal battle against segregated schooling. In 1965, to celebrate congressional passage of the federal Civil Rights and Voting Rights acts, President Lyndon Johnson convened a White House conference on civil rights, chaired by the president of AJC, civil-rights lawyer Morris Abram. The two-decade crusade for civil rights, and the simultaneous campaign to end the immigration quotas that had condemned so many Jews to death, had turned Jewish organizations into a powerful force in Washington by 1965. Across the Jewish community there was a fierce determination that the Nazis’ racist madness must never happen again — that the world can and must be made better than it was. And here was the greatest change after 1967. Following Israel’s lightning, six-day victory and capture of territories from its neighbors, putting millions of Palestinian residents under military rule, the Jewish state’s image changed almost overnight, from scrappy survivor to conquering occupation force. Canny diplomacy by Arab states and Palestinian leaders increasingly succeeded in isolating Israel, turning it from a liberal darling into an international pariah. The response in Israel, and increasingly among many American Jewish leaders, was to view the world as heartless. One result has been a reversal of the Zionist vision. The reborn Jewish homeland was supposed to create a safe haven for Jews. Its founders envisioned it as a cure for anti-Semitism. Instead, the steadily mounting hostility toward Israel made it the least safe place for Jews, the only place where Jews were killed regularly because they were Jews. More and more, supporters of Israel came to see its existence not as a cure for anti-Semitism, but as proof that anti-Semitism was eternal. Over the decades, Israel’s Arab neighbors lost hope of obliterating Israel and began re-examining the land-for-peace offer. In those same decades, though, the offer was growing shakier on the Israeli side as a stream of Israelis settled in those territories, determined to establish Jewish sovereignty over the land that God had promised and, in the miracle of 1967, delivered. Religious Zionists, an offshoot of Modern Orthodoxy, had originally viewed the rise of secular Zionism as a sign that the messianic era was underway. After all, the socialist rebels who led the first waves of Zionist pioneers could hardly be accused of defying God’s will, as the Orthodox traditionalists charged, since they didn’t even believe in God. Independence in 1948 seemed to religious Zionists to be partial confirmation of the messianic miracle underway, but the improbable victory of 1967 landed with explosive force as final proof: God had finally returned the very heart of the promised land to Jewish sovereignty. It followed that God would punish Israel if it tried to give away God’s gift. Many other Israelis, though leery of messianic miracles, grew suspicious of trading land for peace because whatever its theoretical advantages, the continuing violent hostility of the Palestinians in the territories seemed to prove that compromise was doomed to failure. And so, between messianism and despair, Israel drifted toward permanent rule over the 4.5 million Palestinians of the West Bank and Gaza. The inevitable result, it seemed, would be a state that was half Jewish and half Arab, either giving the Palestinians equal rights and ceasing to be a Jewish state, or keeping them subjugated and ceasing to be a democracy. Either way, the Zionist vision of a democratic Jewish state seemed doomed. That, it seemed, was to be the practical legacy of the miraculous victory of 1967. The impact of the Six-Day War on the Diaspora Jewish psyche was no less profound. For three weeks before the war, neighboring states blockaded Israel while their leaders called for the Jewish state’s elimination. In Israel and around the world, fears of a second Holocaust grew. In the end, Israel won in a one-round knockout, proving to its neighbors, and the world, that it could not be destroyed. Somehow, though, Jews absorbed the opposite message: that foes could destroy Israel at any moment. The three weeks of isolation before the war left a deeper psychological trauma than the war itself on the consciousness of world Jewry. The half-century since 1967 has produced a state of simmering suspicion among Jews. It’s not a coincidence that teaching the Holocaust has become a central item on the communal agenda. Somehow, though, the even lesson of the Holocaust also was transformed after 1967. Before then, the understanding was that the world can and must be made better. Afterward, the understanding was that the world just couldn’t be worse. World War II had left Jews feeling closer than ever to their neighbors, who’d fought and died alongside them. The earthquake of 1967 left them feeling alone and suspicious. Another change generated less attention. Jewish institutions and their most vocal spokespeople started in their new suspicion of one-world liberalism to sound quite similar to the neoconservatives who’d come to prominence in Washington after 1967, vowing to change the liberal, Democratic-voting Jewish mainstream into Republicans and conservatives. That mass change never happened. What did happen was a measurable post-1967 drift by many Jews — ultimately a majority — away from organized Jewish life. The more conservative the public voice of American Jewry became, the fewer American Jews paid attention. Whether the drift of Jews away from the organized Jewish community has anything to do with the upheaval of 1967 or is simply an unrelated coincidence has yet to be properly examined. Then again, the same can be said of almost everything else about that decisive year — and, indeed, of the strange metamorphosis of the Jewish spirit over the past century, from hopeful optimism in the face of great suffering to bitterness and suspicion amid plenty. This year, with its 50th and 100th anniversaries demarcating the mystery, is a good time to start thinking about it, and rethinking where we’ve ended up. 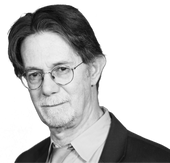 This story "On The 100th Anniversary of the Balfour Declaration" was written by J.J. Goldberg.